49 killed, 48 injured in attacks at 2 mosques. Australian with reported racist manifesto charged with murder. A man in his 20s has been charged with murder, said Mike Bush, New Zealand’s police commissioner. Two other suspects were in custody while police worked to determine what role they played. 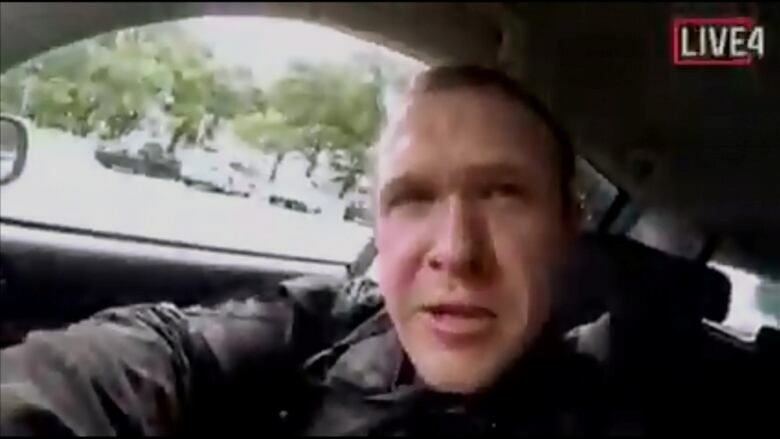 Australian media reports identified the accused as Brenton Tarrant, 28, from the city of Grafton in New South Wales, Australia. A man claiming to be the gunman reportedly videotaped the shooting and posted it as a livestream to his now-deleted Twitter account, along with a link to an apparent anti-immigrant manifesto. Police are urging people not to repost the livestream. Bush said the “unprecedented, abhorrent event” is now being treated as a terrorist incident. 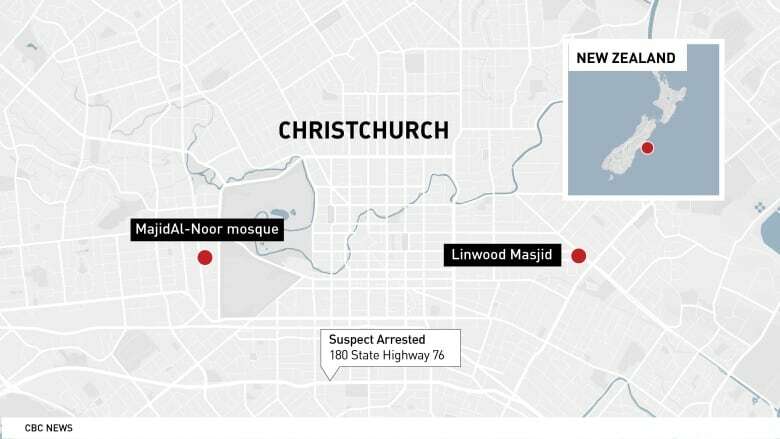 The majority of those killed were at the Masjid Al-Noor, a mosque on Deans Avenue in the central part of the city, with the shooting occurring around 1:45 p.m. local time. During a second shooting at the nearby Linwood Avenue mosque, seven people were killed. One more person died later at Christchurch Hospital. 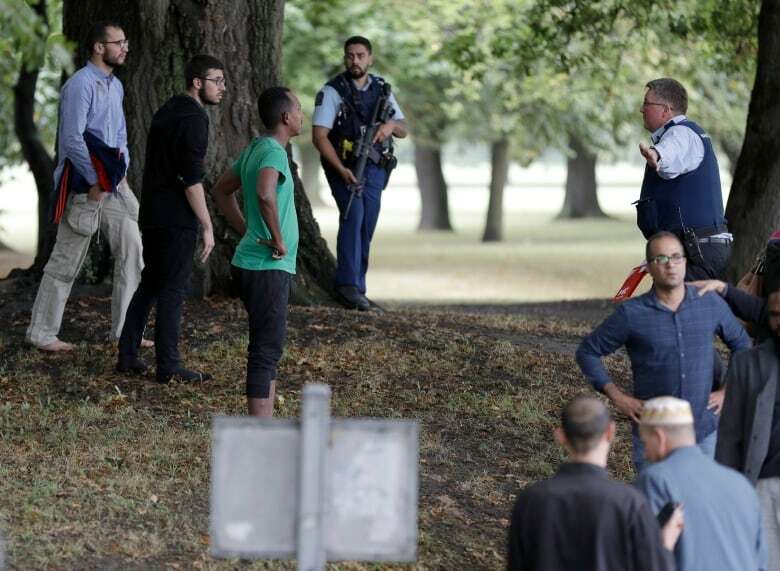 Prime Minister Jacinda Ardern said the national security threat level in New Zealand was raised to the second highest level after the attack. Worshippers, possibly dead or wounded, lay huddled on the floor at the Al-Noor mosque, the video posted to social media showeds. It also showed a gunman going through the main entrance and opening fire for a few minutes. He then walked outside, where he shot at people on the sidewalk. Children’s screams could be heard in the distance as he returned to his vehicle to get another rifle. 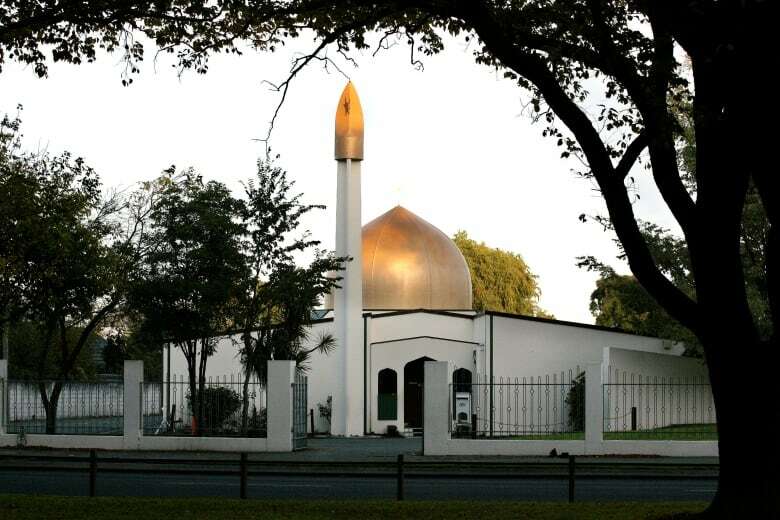 The gunman then walked back into the mosque, where there were at least two dozen people lying on the ground, and continued shooting. Len Peneha, who lives next door to the Masjid Al-Noor, said he saw a man dressed in black enter the mosque and then heard dozens of shots. 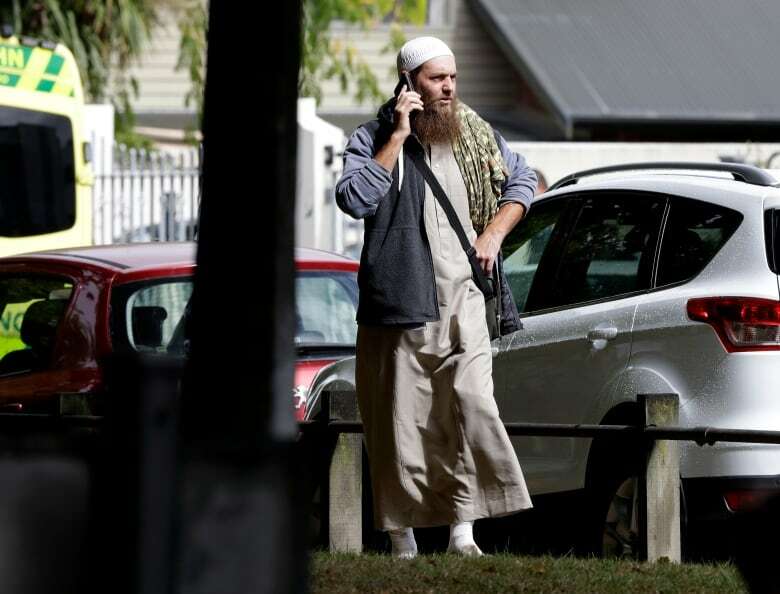 He also saw people running from the mosque in terror, and a gunman flee before emergency services arrived. Peneha said he went into the mosque to try to help: “I saw dead people everywhere. 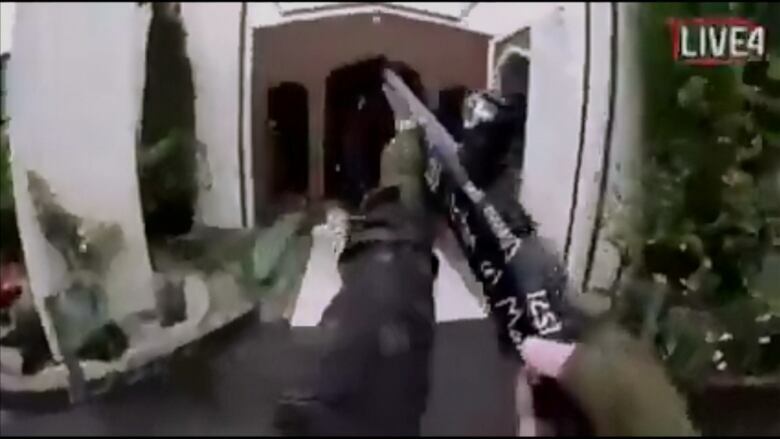 There were three in the hallway, at the door leading into the mosque, and people inside the mosque. He said he helped about five people recover in his home and one was slightly injured. Peneha said the gunman was white and wearing a helmet with some kind of device on top, giving him a military-type appearance. “He changed magazines seven times,” said Farid Ahmed, who was inside Al-Noor and spoke to the Guardian. He said he took cover under a bench. 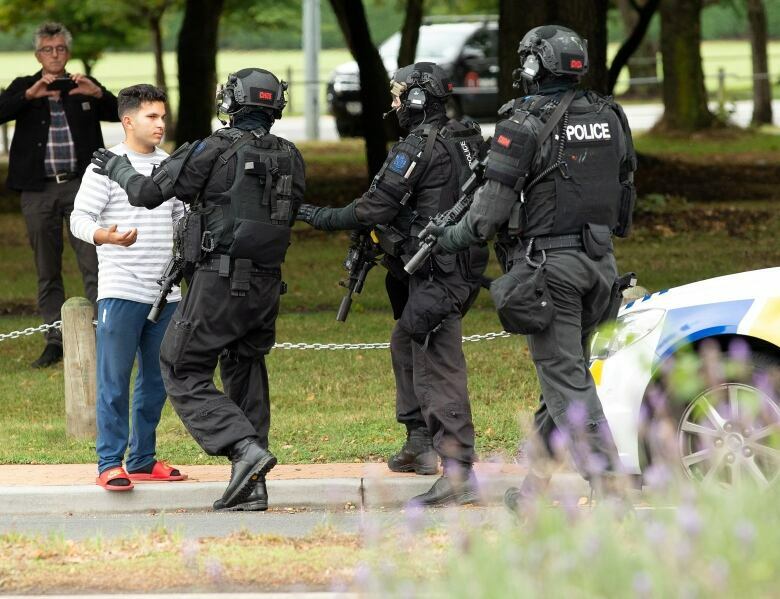 As the crisis unfolded, Christchurch schools and council buildings were under lockdown. Police were still urging caution Friday evening local time, even as some lockdowns were lifted. “Let’s not presume that the danger is gone,” Bush said at the time, adding police will continue to be highly visible in the neighbourhoods affected. The International Red Cross set up a webpage to help people contact family members who may have been at the mosques during the shooting. Three Bangladeshis were among the dead and one was missing, the consulate said, without saying at which mosque they were shot. The visiting Bangladesh cricket team was arriving for prayers at Al-Noor, but was warned not to go inside and all of its members were safe, a team coach said. “The players are shaken up but fine,” coach MarioVillavarayen told the New Zealand Herald.